Plain Wedding Bands There are 16 products. We design and create wedding rings in platinum, palladium, yellow gold, white gold, rose gold, they all come in a variety of shapes and styles including, plain, decorative, D-Shaped, Court, Flat Court, plain rings can be supplied as matching wedding ring for his and hers wedding or commitment rings. Ladies wedding band, a 2mm wedding band with "d" shaped profile. 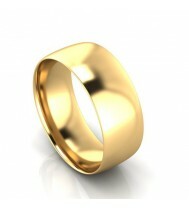 This is a bespoke design, please call or email us for a price based on your own requirements. 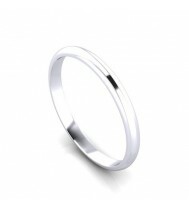 Ladies wedding band, a 3mm wedding band with "d" shaped profile. This is a bespoke design, please call or email us for a price based on your own requirements. Ladies or Gents wedding band, a 4mm court shapped wedding band.This is a bespoke design, please call or email us for a price based on your own requirements. Ladies or Gents wedding band, a 5mm court shapped wedding band. This is a bespoke design, please call or email us for a price based on your own requirements. 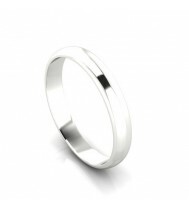 Ladies wedding band, a 2mm flat shapped wedding band.This is a bespoke design, please call or email us for a price based on your own requirements. Ladies 3mm flast shape wedding ring. This is a bespoke design, please call or email us for a price based on your own requirements.